As a parent, you probably can’t help thinking about how your kids will be as adults. Will they be more like mom or dad? What will they look like when they get older? What will their personality be like? Will they be successful? These are all questions you have probably thought about. While there is no way to predict the answers to these questions, there is one question that you might be able to predict the answer to: There is a formula for predicting how tall your children will be when they are fully grown. 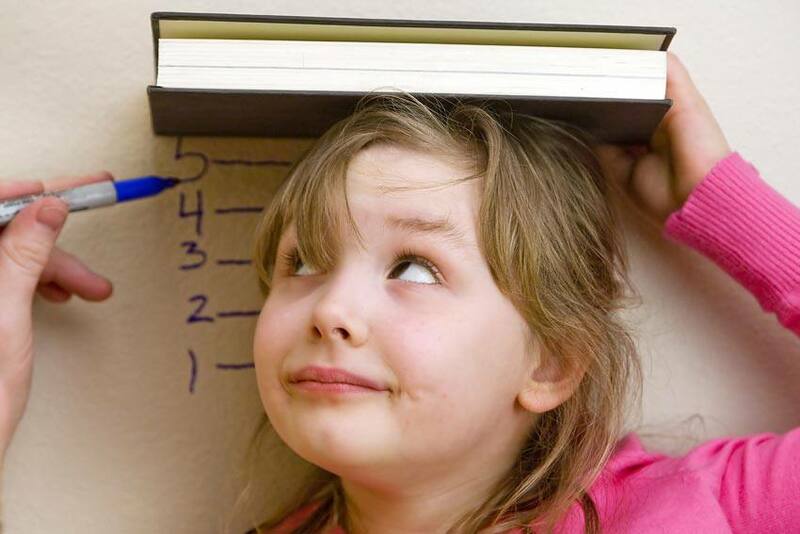 “Doctors often use a fairly simple formula to predict the adult height of a child based on the heights of the parents. That formula, dating from 1970 research, predicts that most (but not all) children eventually will reach a height somewhere within a fairly small range that can be estimated by the average combined height of their parents,” says C. Claiborne Ray in the New York Times. For example, a boy whose dad is 6 feet tall (72 inches) and mom is 5 feet 6 inches tall (66 inches) is predicted to be 5 feet 11 1/2 inches tall. Calculation: The combined height of both parents (72 + 66) + 5 inches/2 = 71.5 inches, or 5 feet 11 1/2 inches. Although this formula will provide you with a good estimate for how tall you can expect your children to be, there are other factors that come into play; nutrition and genetics also play a role in how tall your child will be. It’s estimated that genetics accounts for 60% to 80% of a person’s final height. A study of 8,798 pairs of adult Finnish twins, published in the journal Behavior Genetics, found that genetics accounted for around 78% of height in adult men and 75% in women. If you are impatient and don’t want to wait until puberty to find out how tall your child will be, just pull out your calculator and use the height formula.